Corn Belt challenge. This is a targeted program that will invest $4 million during 2016 in 10 states, which includes the heart of the Corn Belt. NRCS wants to help turn around a decades-long plunge in the monarch population, which has fallen from about a billion in the mid-1990s to only about 34 million today. Experts say the Corn Belt states will play a key role in turning those numbers around. “Monarch butterfly populations are declining due to a loss of habitat,” says Chip Taylor, a University of Kansas insect ecologist and director of Monarch Watch. “To assure a future for monarchs, conservation and restoration of milkweed needs to become a national priority.” Milkweed is the sole food source for monarch caterpillars, but modern agriculture, using techniques such as herbicide tolerant crops, has nearly eliminated this plant from corn and soybean acres. Taylor points out that the annual monarch migration is an intricate journey. Monarchs spend the winter in mountain areas west of Mexico City; by early March they head north, with the first generation making it as far as Texas, where that generation lay eggs and die. 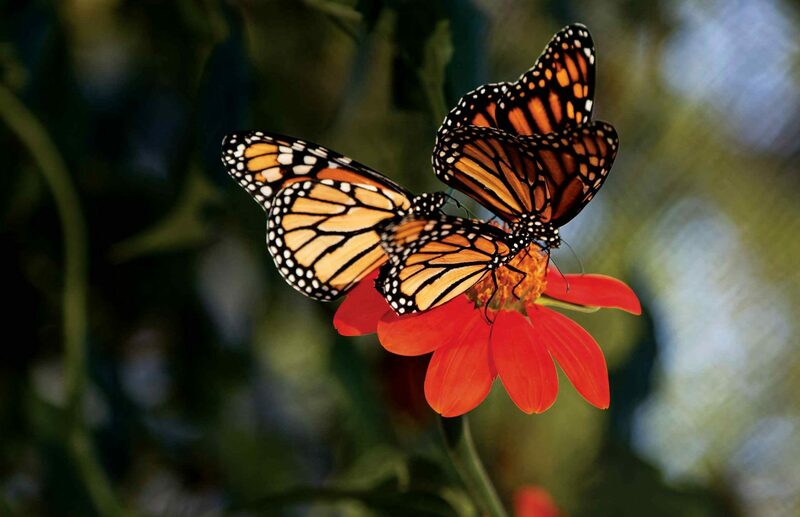 The monarchs born in Texas head north, typically arriving in Corn Belt states in May; some butterflies range north to Canada, others continue east to New England. After three to four generations on the summer breeding range, the final generation begins the 2,000-mile migration to Mexico in August. Research shows that the majority of the migratory population that overwinters in Mexico were born in Corn Belt states. More diversity. The new NRCS program will provide technical and financial assistance to help farmers and conservation partners plant milkweed, as well as nectar-rich plants, along field borders; in buffers adjacent to waterways or around wetlands; in pastures, or other suitable locations. NRCS also plans to help ranchers manage lands to increase milkweed populations while enhancing the health of the rangeland.